Note: This analysis originally appeared in The Quorum Report in August. It seems approproriate to revisit it now that Abbott is inserting himself into House GOP primaries. Make no mistake, Abbott is already effectively targeting all Republican members who unanimously voted to elect Speaker Joe Straus in January and similarly all gave their presiding officer a standing ovation at the House GOP Caucus meeting last week at the behest of Rep. Matt Schaefer, Chairman of the Freedom Caucus, who thanked Straus for his years of service. When Abbott was profiled by Texas Monthly in October of 2013, the cover story began by highlighting his skills with a 12-gauge shotgun. The metaphor is perhaps even more appropriate now, given his scattershot approach to politically threatening members of his own party. “Citizens deserve to know the positions of their lawmakers on these issues, but House members hid behind parliamentary procedure to avoid taking votes,” the campaign said after praising the quick action of the Texas Senate under Lt. Gov. Dan Patrick, who just today said of Straus “If the House wants to keep electing him, then I’ll keep fighting as lieutenant governor against him and so will Greg Abbott.” Straus has since announced his retirement. “Rather than work on issues important to Texans, they (House Republicans) chose to engage in political theater and showboat on items far outside the Governor’s agenda,” the Abbott campaign said. Those “showboat” issues included school finance reform and life-saving therapies for severely disabled children, the latter a cause near and dear to the hearts of noted liberals like Representatives Matt Krause of Fort Worth and Jeff Leach of Plano. But the number-one stated priority of both Abbott and Patrick, property taxes, did make it to the House floor for a lengthy debate and vote. After the House gaveled out last week the Senate could have simply discharged its conferees and taken the deal on Senate Bill 1, creating automatic rollback rate elections for cities and counties at 6 percent. There is no automatic rollback rate for them now, the same as when Patrick started campaigning on the issue at least 15 years ago. If the Senate had agreed, the legal framework would be in place to ratchet the rollback rate down as much as Patrick would like in the future. Patrick and Sen. Paul Bettencourt, R-Houston, are joined at the hip on property tax “reform” and rather than take the legislative win, they chose to lose in favor of railing about it through the primaries. Senate leaders are of course framing the argument as House leadership abandoning the battlefield. Gov. Abbott, though, is arbitrarily choosing to blame the lower chamber after property tax talks between the two chambers broke down on the final day of the special session. If Abbott follows through with his threats to campaign against rank and file House members, his targets will be chosen just as arbitrarily. Should Rep. Will Metcalf, R-Conroe, Rep. Scott Cosper, R-Killeen, or Rep. Pat Fallon, R-Little Elm, be held responsible for the bathroom bill’s demise when they never voted on it? During the special session, Abbott signaled he knew many of his 20 items would not receive a floor vote by putting members on notice that they needed to sign onto doomed bills. Speaking to a group of about 45 to 50 GOP members during a meeting arranged by Texas Conservative Coalition Executive Director John Colyandro, Abbott made clear he would grade lawmakers by looking to see who put their names on bills as joint authors and coauthors. The vast majority of Republicans in the House should be safe from Abbott’s wrath, at least according to that score-keeping method. Given all that, it might make some sense for Abbott to attack and spend money against Speaker Straus and his chairmen. His office has already used the term “obstructionist” to describe House State Affairs Committee Chairman Byron Cook, R-Corsicana, when it comes to the bathroom bill. Now that’s just a blustery press statement from a communications staffer. But it could betray Abbott’s Catholic faith to actively oppose Chairman Cook, whose committee passed nearly every single pro-life measure Abbott has ever signed including four bills during the special session while saving Abbott from the bathroom bill that he was privately telling contributors not to worry about. After the original publication of this analysis, Chairman Cook announced he will not seek reelection. Chairmen expect to take a certain level of heat. It goes with the job. 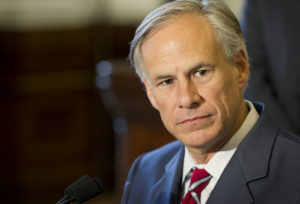 But now that Abbott claims to be outraged at all the members over bills that didn’t receive record votes, any of his attempts at retribution against rank and file Republicans would be random, out of spite, and meant only to make examples of what happens to lawmakers if they’re seen as non-compliant by a governor who has not yet learned to govern.